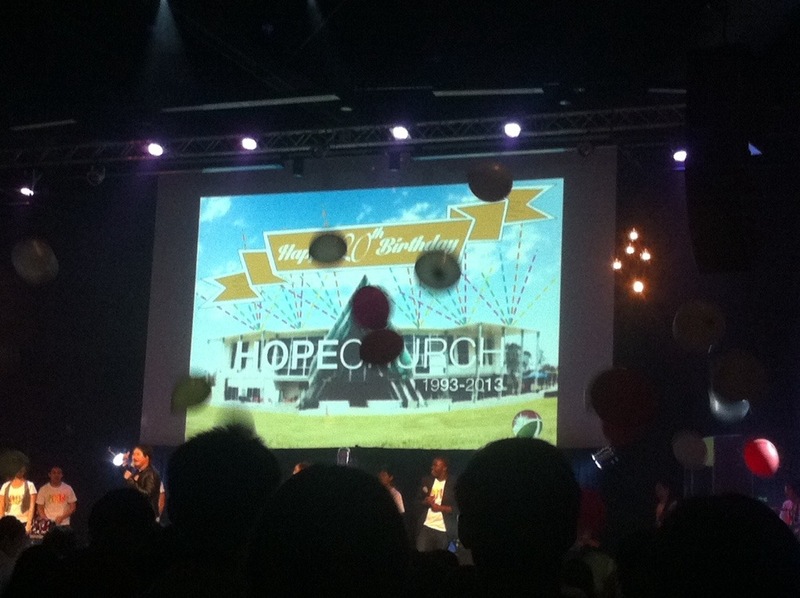 Yesterday was Hope Church’s 20th Birthday! Seeing the church’s twenty year history was very humbling and encouraging. I loved getting to fellowship with UQ3 at Unidus Community Centre. Everything was taken up a notch as it was a special occasion. Prior to the service, there were a few fun games with audience participation. A few of my friends were singing in the choir or playing in the band. We sang contemporary worship songs and then our senior pastor, Wilson Lim preached about reaching beyond what we have already achieved as a church to what we should strive for in the future. Happy Birthday Hope Church. In regards with Japanese culture, it’s your coming of age!